We all know of the special relationship Brabus tuning firm enjoys with Mercedes-Benz. Now there are some first images of the brand new 2011 Mercedes-Benz CLS that was tuned by Brabus. The German tuner has not revealed any of the technical details of this beautiful car, so unfortunately we don&apos;t know if a new version of the Brabus Rocket with 700+ horsepower is at work under the hood or not. 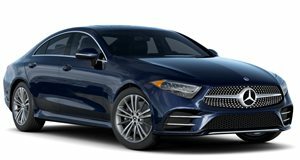 The CLS is usually fitted with a stock 5.5-liter biturbo engine producing 525-horsepower that&apos;s funneled straight to the rear wheels. What&apos;s clear from these pictures is that the car is wearing some tailor-made Brabus wheels. The body remains largely untouched and we&apos;ll have to make due until the technical details are released.